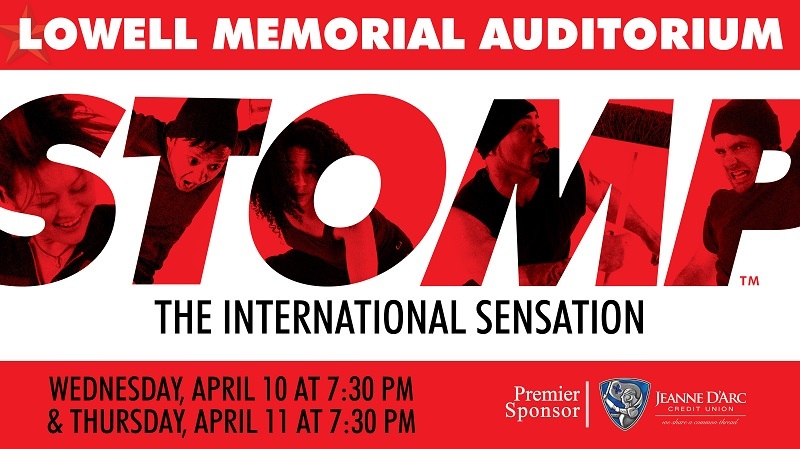 Home » Events » STOMP at Lowell Memorial Auditorium! STOMP at Lowell Memorial Auditorium! « Béla Fleck and Abigail Washburn @ The Music Hall! Don’t miss STOMP on the 25th Anniversary Tour in Lowell! The eight-member troupe uses everything but conventional percussion instruments – matchboxes, wooden poles, brooms, garbage cans, Zippo lighters, hubcaps, and more – to fill the stage with magnificent rhythms. For more about the one-of-a-kind show STOMP, visit on Facebook or follow on Twitter!